Mastromauro ML, Suter SE, Hauck ML, Hess PR. 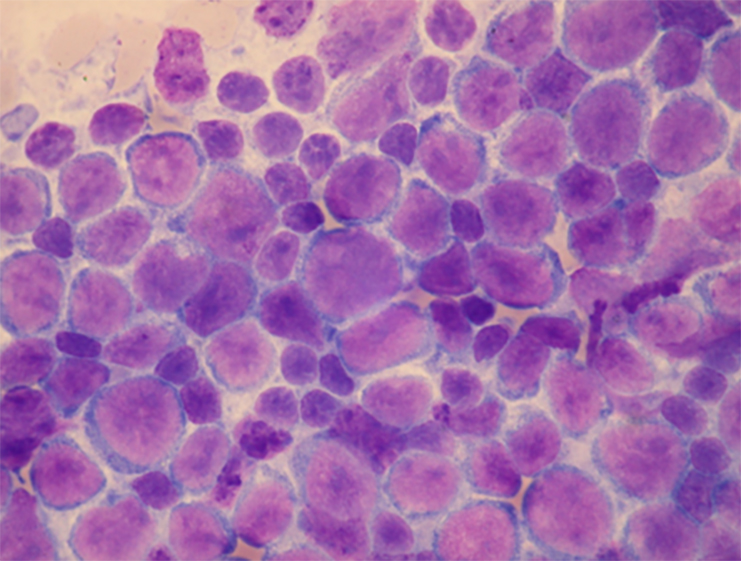 Oral melphalan for the treatment of relapsed canine lymphoma. Vet Comp Oncol. 2018;16(1):E123-E129. This retrospective study examined tolerability and clinical activity of melphalan, an oral alkylating agent, for management of relapsing canine lymphoma. Although melphalan is commonly used for the treatment of multiple myeloma,5 its activity alone or in combination with prednisone has not been described as a rescue protocol for relapsing lymphoma. In this study, the tolerability and outcomes associated with oral melphalan and prednisone therapy were described in 19 heavily pretreated dogs with relapsing lymphoma. Oral melphalan exerted marginal activity, with an overall calculated clinical benefit of 31.6%. Although anticancer activity was limited, the tolerability profile of oral melphalan was favorable as determined by a low incidence of significant hematologic toxicity and rare GI toxicity. These findings suggest that oral melphalan alone or in combination with prednisone can reduce lymphoma tumor burden for short durations in some dogs. Given the tolerability of oral melphalan, it might also be considered a palliative option for owners seeking to maintain quality of life without excessive risk for untoward side effects associated with more dose-intense protocols. 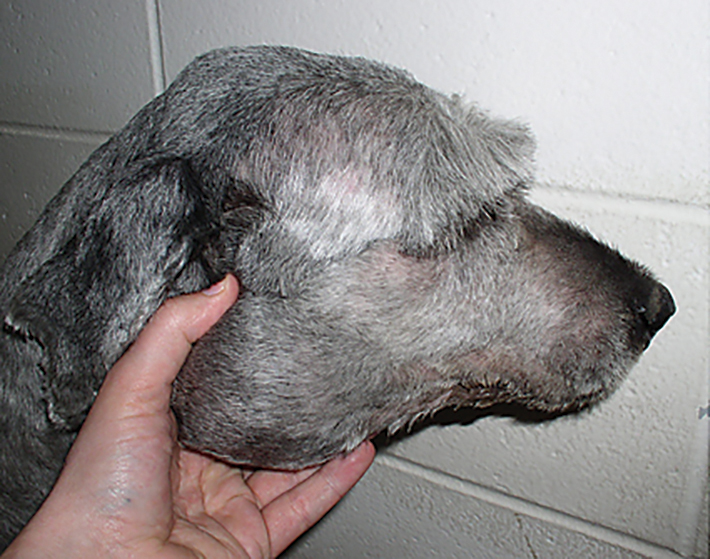 Initial treatment of multicentric lymphoma in dogs is highly effective; however, most dogs will experience disease relapse and require reinstitution of rescue therapies to maintain quality of life and extend survival times. Maintaining quality of life should become centrally important to pet owners of dogs with multicentric lymphoma that have been treated with a multitude of rescue therapies yet experience disease progression. When combined with prednisone therapy, oral melphalan is extremely well tolerated in heavily pretreated dogs and can exert marginal anticancer activities. Given its ease of administration, favorable tolerability, and marginal activity in heavily pretreated dogs with relapsing lymphoma, oral melphalan might be considered a palliative option for pet owners emphasizing quality of life during advanced stages of disease progression. Garrett LD, Thamm DH, Chun R, Dudley R, Vail DM. Evaluation of a 6-month chemotherapy protocol with no maintenance therapy for dogs with lymphoma. J Vet Intern Med. 2002;16(6):704-709. Chun R, Garrett LD, Vail DM. Evaluation of a high-dose chemotherapy protocol with no maintenance therapy for dogs with lymphoma. J Vet Intern Med. 2000;14(2):120-124. Moore AS, London CA, Wood CA, et al. Lomustine (CCNU) for the treatment of resistant lymphoma in dogs. J Vet Intern Med. 1999;13(5):395-398. Griessmayr PC, Payne SE, Winter JE, Barber LG, Shofer FS. Dacarbazine as single-agent therapy for relapsed lymphoma in dogs. J Vet Intern Med. 2009;23(6):1227-1231. Fernández R, Chon E. Comparison of two melphalan protocols and evaluation of outcome and prognostic factors in multiple myeloma in dogs. J Vet Intern Med. 2018;32(3):1060-1069.